Untouchable @MaybachMusicGrp general, Ricky Rozay has been enjoying the success of his Mastermind album released earlier this year. 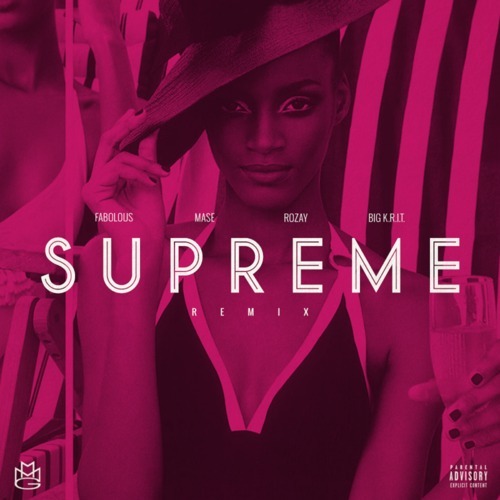 With his Keith Sweat-assisted single “Supreme” gaining heavy team, the Bawse enlists some big names in hip-hop for an official remix. The Scott Storch-produced single sees an immediate life-cycle extension with Murda Ma$e, Fabolous & Big K.R.I.T. joining the Black Bottle Boys for the summertime affair. Listen above to the new drop and look for more from Rozay this fall.